Without them in your home, your risk of death from a house fire is up to 3 times higher. In Queensland, about three-quarters of all home fire deaths happen in homes without smoke alarms — nearly half of all house fire deaths occur when people are sleeping. Photoelectric smoke alarms have to be used in QLD to comply with the new smoke alarm regulations. Photoelectric smoke alarms are generally more effective than ionisation types because they ‘see’ the smoke by detecting visible particles of combustion. For this reason they are good at detecting smouldering fires and dense smoke, and are not as prone to false alarms (from cooking etc.). Our electricians can install new smoke alarms or test your existing smoke alarms are in good working order and replace or repair faulty smoke alarms. 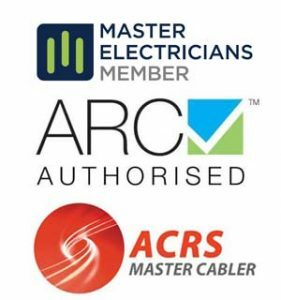 To guarantee our work, all JBerg Electrical jobs are accompanied by a Safety Certificate of compliance. I consent to my private information beign stored. JBerg Electrical is a locally owned and family operated business based on the south side of Brisbane. 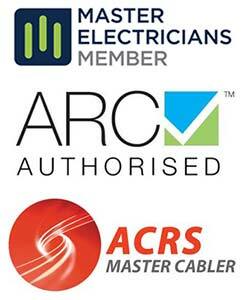 We are fully accredited to provide you home or business with electrical services.